Rich, decadent and homely… there’s nothing better. 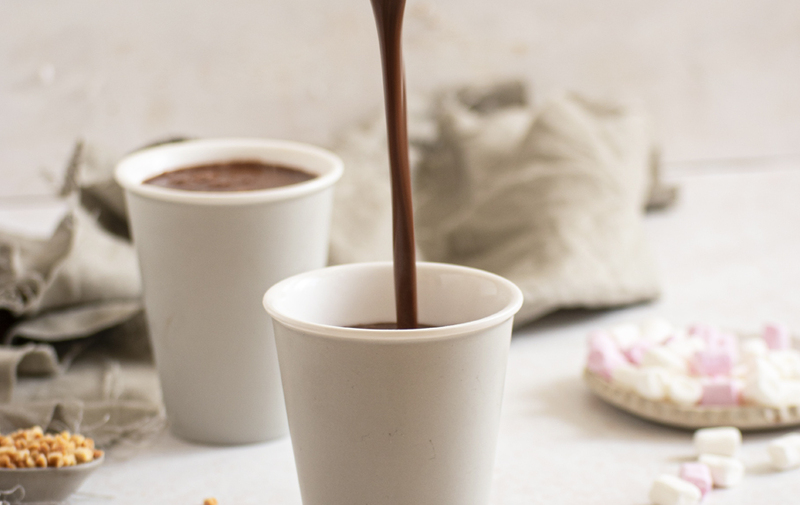 I love enjoying this hot chocolate on a cosy night in with some choc chip cookies! Plus, it’s great cooled down for a cold chocolate drink during the warmer days. 1. 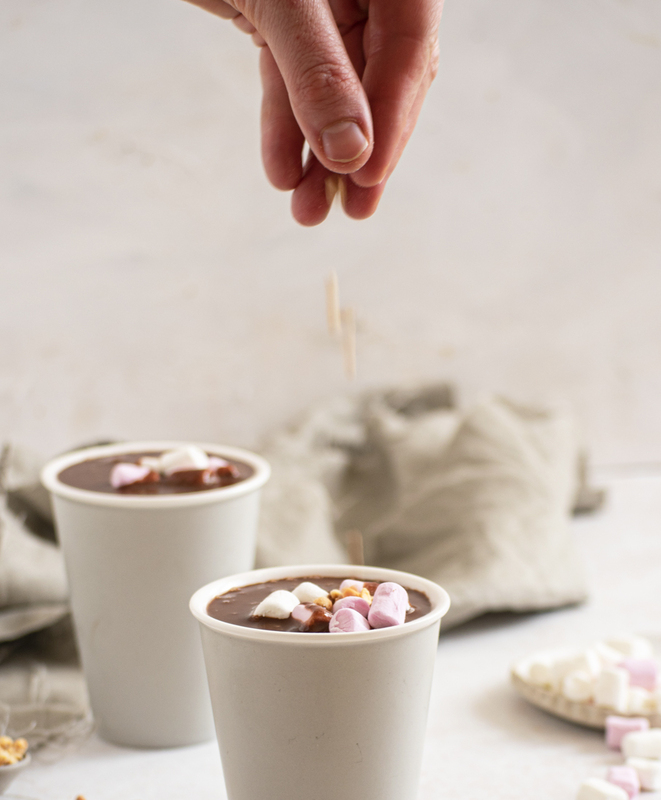 In a small saucepan add in Nuvia Drinking Chocolate, milk, peanut butter and chocolate chips and whisk to combine. 3. 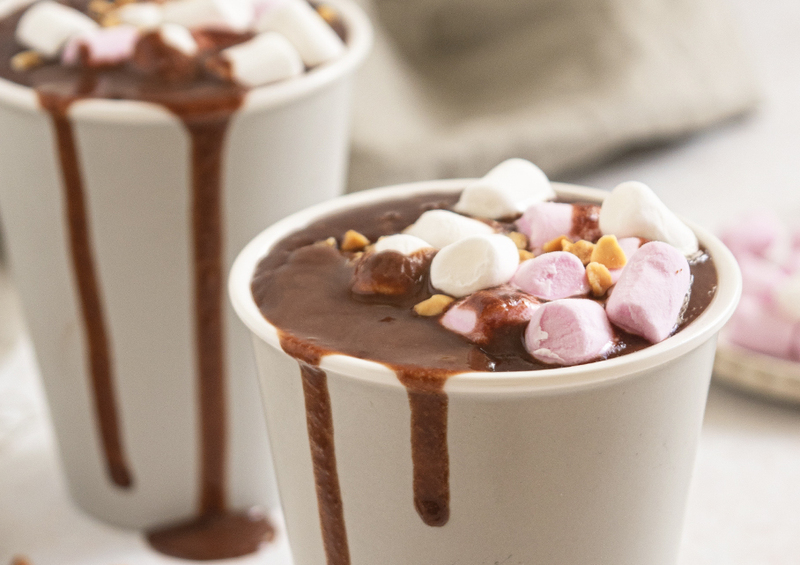 Pour into your favourite mug and top with marshmallows and crushed peanuts.